The Maldives imbroglio has become a fable for international politics. Politics, especially international politics, often appears to be an eerie combination of slapstick and farce. One sees an exhibition of egos, of the sheer pomposity of power barely hidden behind sanctimonious words like national interest and security. Whenever Chinese one-upmanship finesses India in the neighbourhood, we fall back on exercises in pedantry, unaware that India cuts a sorry figure in the local political scene. Our obsession with Pakistan and China makes us indifferent to other countries in the neighbourhood. South Asia as place, as a bubbling culture of diversity, gets converted to space or at the most to turf or territory. The future of India as a South Asian imagination becomes dim as India turns hysterical over China’s entry into the Maldives. Yet three things are obvious. We have no sense of the Maldives. We treat their politicians as vassals who have become rebels. We are almost orientalist in our attitudes to islands like the Maldives, Mauritius, treating them as lesser orders of political reality. It is as if the annexation of Sikkim is our chosen model for South Asian politics. One thing is clear. 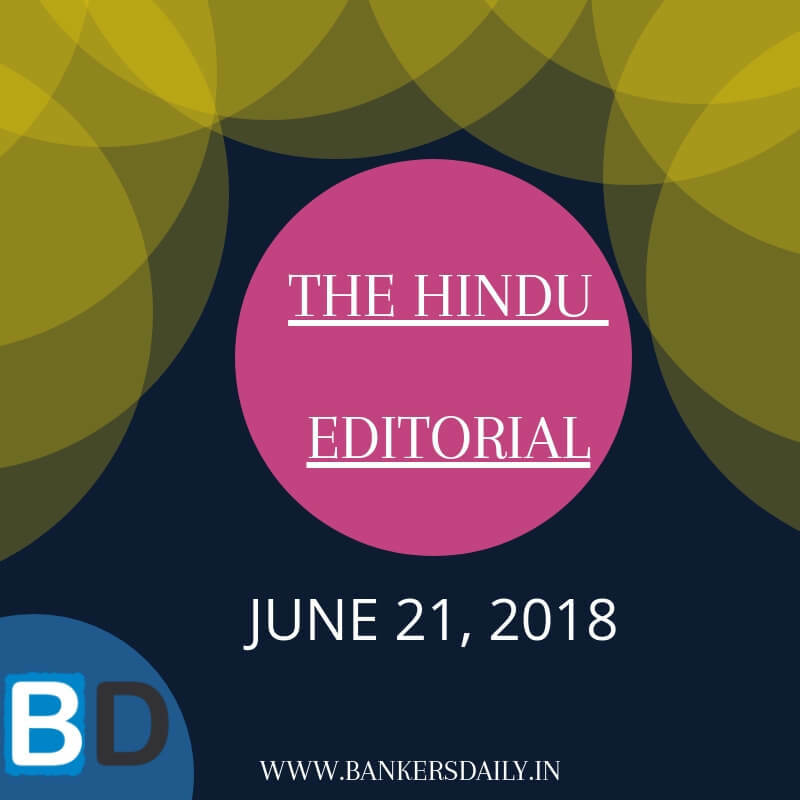 Not much can be expected within the current framework of policy, where categories like security operate in a Pavlovian style and India acts only when it sees a Pakistani or Chinese move. The current frameworks and mentalities add little to policy. India needs to see South Asia as a new imaginary if the idea of India and Indian foreign policy is to succeed. South Asia is a tapestry of myriad ecologies from islands to mountains, a confluence of civilisations, religions and regions. India is today the dominant power, but beyond a sense of hegemony, it plays bully and Mr. Simplicissimus. One needs to add the power of these diverse imaginations to an emerging hybridity called India. Consider a few examples. During the recent Cyclone Ockhi, a priest told me, we are fisherman, we think from sea to land but we are run by a land-locked regime. An understanding of island geographies could broaden into ecological imagination, create new imaginaries to unlock India’s land-locked mindset. An island imaginary adds as much to our imagination and alters our attitude to marginal people on our coastlines. Watching South Asia, one senses India lacks of a sense of neighbourhood and region as a component of our imagination. Take Kathmandu. The similarities between India and Nepal are immense, and yet India lacks any comprehension of Nepal’s fierce sense of itself. By playing big brother, India repeatedly displays a lack of sense of the diversities around which need a new sense of unity. By acting as a bully or an un-empathetic headmaster wielding the stick, India reveals an absence of its South Asian self. It issues warnings to the Maldives or Nepal, threatening them not to be seduced by the Chinese imperative, but it does little to sustain the reciprocity and autonomy of the relationship. A change in tactics is not enough; one needs a sense of strategy, a paradigmatic argument for a new South Asia which adds to the creativity of Indian democracy. Reflecting on this context, one is reminded of a South African proverb which says one must invent a stranger to renew oneself. The stranger is the other that renews the self, reveals the unities and reciprocities behind difference. In the South Asian context, India must adapt these words of wisdom by inventing and reinventing the neighbour every day. It has to invent a South Asia which is civilisational, reciprocal, local in its diversity. Merely thinking as a nation state reveals the procrustean nature of the Indian mind, making it a victim of 19th century mindsets. Even experiments which could have been promising have lost their creative power. One of the most exciting of these regional ideas was the creation of the South Asian University (SAU), with a faculty from all South Asian countries. While we have the faculty, what we lack is a South Asian theory of culture and knowledge which should anchor this imagination. SAU looks like any other university, part of the embassy set in South Delhi. It needs a manifesto which makes South Asia central to its imagination. Such a manifesto must transform ecology and culture into a theory of South Asian diversity and difference. The borderland, the frontier, the island, the riverine communities have to anchor a local imagination which diversifies South Asia as a region. Out of ecology should emerge a creative sense of regionalism as a new style of ecological politics rather than treating the region as a lesser order of politics in a global regime. Second, the availability of eccentricity as dissent, alternatives, minorities has to be reworked constitutionally so the focus is not on trite obsessions with India-Pakistan but a genuine exploration of voices and theories. One has to weave ideas of Swadeshi and Swaraj into foreign policy, where South Asia creates the availability of vernaculars. SAU as a dialogue of ecologies, religions, vernaculars located in a civilisational frame can add to the ideas of knowledge, sustain memories and defeated cultures without getting bogged in the modern sentimentality called development. South Asia as a concept to be sustainable and creative has to be life-giving. Diversity becomes the next axis of the South Asia imagination. Between its demographic density and its ethnic diversity, South Asia offers an experiment in religious dialogue, an exercise in the cultivation of informal economies, a surge for human rights where culture and livelihoods become central. The creativity of civil society and social movements marks the dynamism of these regions. In fact, South Asia is going to become a site for the growing battle between human rights/cultural diversity and the fundamentalist imagination. South Asia, with its motley collection of minorities, has to rethink the question of the border and border crossings which are so crucial to the survival of these groups. One is thinking not only of the Rohingya, but the Rohingya as a paradigm for border crossings. We need an open idea of hospitality and the nation so ethnic imaginations do not merely become destabilising but provide new vernaculars of the imagination in terms of inventive notions of citizenship, livelihood and regionalism. One has to allow for tribal, ethnic, nomadic and pastoral groups moving freely without being hounded by the panopticon called the boundary. One has to be clear it is not the immediacy and constant intrusiveness of China or the bellicosity of Pakistan which can trigger a new South Asian identity and imagination. Security is too narrow and provincial a base either for the sustenance of diversity or for the promotion of peace. The so-called imbroglio of the Maldives must be a warning signal to persuade civil society groups like human rights activists, media, university academics to articulate a new idea of South Asian identity and democracy, to revive the neighbourhood as an imagination, when globalism is turning colourless. We need a movement from muscular diplomacy, which we are poor at, to a diplomacy of diversity for the South Asian imagination and drama to be reinvented again. Democracy in India cannot exist without the extension of the democratic imagination to the region. South Asia as an imaginary becomes text and the pretext for such an experiment. An India with a new South Asian identity triggers a new imagination beyond the dullness of security and nation state. Meaning: An extremely confused, complicated, or embarrassing situation. Meaning: A supernatural story incorporating elements of myth and legend. Meaning: Comedy based on deliberately clumsy actions and humorously embarrassing events. Meaning: A comic dramatic work using buffoonery and horseplay and typically including crude characterization and ludicrously improbable situations. Meaning: The quality of being pompous; self-importance. Meaning: Making a show of being morally superior to other people. Meaning: Impressive delicacy and skill. Meaning: Excessive concern with minor details and rules. Meaning: Be filled with an irrepressible positive feeling. Meaning: Grass and the surface layer of earth held together by its roots. Meaning: A holder of land by feudal tenure on conditions of homage and allegiance. Meaning: A person who studies the languages and cultures of East and Southeast Asia; relating to orientalism. Example: The orientalist fantasies of Western colonialists. Meaning: The action of annexing something, especially territory. Meaning: Used in reference to an intricate or complex sequence of events. Meaning: An act or process of merging. Meaning: A person who uses strength or influence to harm or intimidate those who are weaker. Meaning: Having or displaying a violent or ferocious aggressiveness. Meaning: Showing an ability to understand and share the feelings of another. Meaning: Have and be able to use (power or influence). Meaning: To persuade or cause someone to do something that they would not usually consider doing by being very attractive and difficult to refuse. Example: I wouldn’t normally stay in a hotel like this, but I was seduced by the fabulous location. Meaning: The practice of exchanging things with others for mutual benefit, especially privileges granted by one country or organization to another. Meaning: Relating to the way different words or language items can be chosen to play a particular part in a language structure. Meaning: (especially of a framework or system) enforcing uniformity or conformity without regard to natural variation or individuality. Meaning: The official residence or offices of an ambassador. Meaning: A public declaration of policy and aims, especially one issued before an election by a political party or candidate. Meaning: Relating to or situated on a river or riverbank; riparian. Meaning: An eccentric act or habit. Meaning: An idea or thought that continually preoccupies or intrudes on a person’s mind. Meaning: Be prevented from making progress in a task or activity. Meaning: Incongruously varied in appearance or character; disparate. Meaning: A member of a group of people who move from one place to another rather than living in one place all of the time. Example: A tribe of Somalian desert nomads. Meaning: Associated with country life. Meaning: Harass, persecute, or pursue relentlessly. Meaning: A prison with cells (= rooms) arranged in a circle, so that the people in them can be seen at all times from the centre. Meaning: Wishing to fight or start a war. Example: The general made some bellicose statements about his country’s military strength. Meaning: The maintaining of someone or something in life or existence. Meaning: Having or showing the ability to speak fluently and coherently. 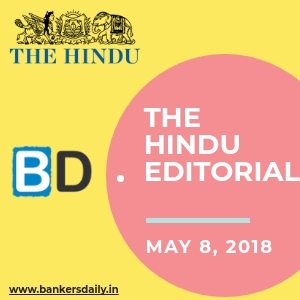 Check the previous edition of THE HINDU Editorial to learn more words and to ace the English section in the forthcoming exams.